Skincare can be a little confusing and the more people I talk to, the more I realize that it's not intuitive for many... How do you know which serum to pair with which moisturizer? Do you need toner? What kind of night cream should you be using? What's up with cleansing? Is one cleanser better than another? These are questions a lot of people have about their skincare regimes, so it's great when there's a brand that lays it all out for you with a group of products that you can use together, but also purchase together in one convenient box. I've been using these products for about a month and I really like them. They don't particularly smell although a few of them have a faint scent similar to vinegar, however after a few seconds I can't smell it at all following application. Since using these products, I've seen a noticeable difference in my skin. It's smoother, less dry and my skin tone is even. I haven't had any breakouts or irritation even though I have quite sensitive skin. That said, it's a good idea to try these products by patch test before committing to the routine to see if any redness or irritation occurs. 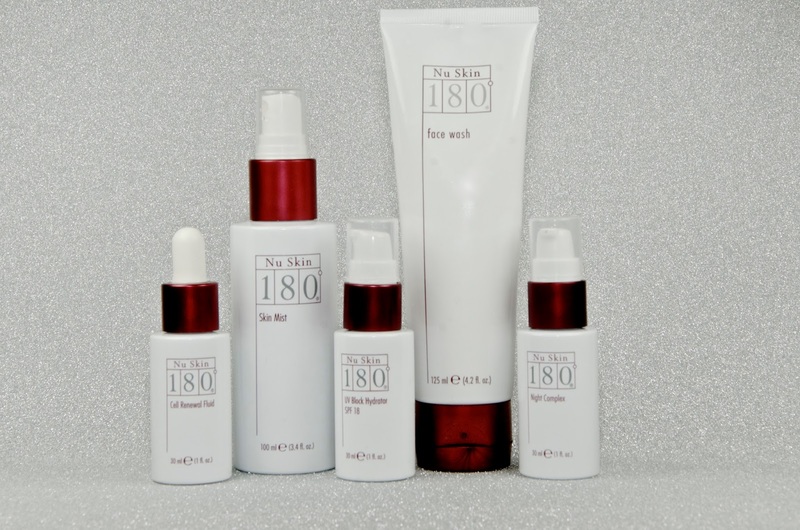 There are several other products in the Nu Skin 180° range, which can be used in conjunction with this set, or you can simply use these products on their own. Given that they're all complementary to each other, it really takes the guess work out of skincare and makes looking after your skin easy and convenient. I find it only takes me a few minutes in the morning and at night with very little hassle. My favorite of these products has to be the face wash. The texture is thick and rich like a cream cleanser, yet it lathers like a gel. I feel like my skin is very clean after using this face wash, no matter how grimy it gets from a day of city life. I'm also a big fan of the UV Block Hydrator SPF 18, which is a no-fuss moisturizer that stays put and doesn't feel at all greasy or heavy. The Skin Mist in place of a toner is great, however I do occasionally skip misting this on my face and instead, spray it onto a cotton pad for swiping like a toner if my skin feels particularly dirty. Either way works. The Cell Renewal Complex comes with a dropper and you can easily measure the recommended 0.5ml for use. Altogether, these products are super easy to use and make skincare a convenience rather than a chore. The Nu Skin 180° Anti-Aging Skin Therapy System is £190.66 when you buy it online and available directly from Nu Skin. For more information visit www.nuskin.com.